400V3phase16A&32A 5 Pin Industrial Socket -Site Distribution board - Vat inc.
32A 5 pin socket X2. 16A 5 pin socket x2. Distribution board are full wired inside, just need 3 phase power lead connecting in to it. 415v distribution board. M12 Bulkhead connector, Rear mount 16mm mounting thread with O-Ring and nut. A-Code 5 conductor IP67 with solder cup connections. Wago LEVER-NUTS™ Cage Clamp. Wago Series: 222. Wago Product No: 222-415. Once you use these connectors you’ll never go back to Marrettes or any other twist-on wire-nut connectors. 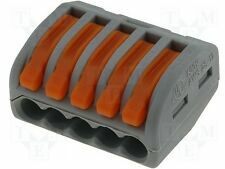 Connector Type: Cage Clamp. ASTA A-SSC515/1 is 5 pin way TE connectivity 1.5 superseal series, set of female and male connectors housing - AMP Superseal 1.5. Typical applications for these types of housings are to provide a receptacle for connectors when they are mounted to a printed circuit board. Model ： MICRO female port without curling. Flat bottom. Gender of Connector: Female. Type ： plug / socket. Insulation Resistance: 100M Ohm. Durability: More than 5000 Plug ins. PCE 63A 415V 3P N E 5 Pin IP67 Rated Socket. PCE 63 AMP 415V IP67 Rated Socket (Female). 5 Pin, 3P N E 3 Phase. 1x 2355-6 - 63A 3P N E 415V 5 Pin IP67 Rated Trailing Socket. Ending Soon. Need the item quicker?. Weatherproof rated to IP44 - Splashproof. 5 pin - 3P N E (3 pole with neutral and earth). 380 - 415 volt - colour coded red. This plug will fit into matching 32 amp 5 pin red sockets and couplers, this is a standard safety feature, these type of connectors cannot be mixed and matched. Manufacturer Berg. NEW & ORIGINAL 5 Pieces. Waterproof rated to IP44. 5 pin 3P N E 3 pin with neutral and earth - triple phase. 1 x 32 amp interlock switched isolator socket - lockable in off position - red. 380 - 415 volt 50/60Hz. 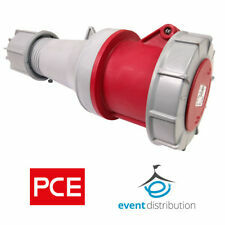 PCE 63A 415V 3P N E 5 Pin IP67 Rated Plug. PCE 63 AMP 415V IP67 Rated Plug (male). 5 Pin, 3P N E 3 Phase. 1x 035-6 - 63A 3P N E 415V 5 Pin IP67 Rated Trailing Plug. Ending Soon. Including: extension leads, power distribution units, cut cables, splitters, adaptors, changeover leads and signage. You are buying 40pcs 5 port AUTHENTIC WAGO 222-415-LEVER NUT. Built in TEST PORT - works with solid AND stranded wire. Need 2 or 3 port?. We can help! Strip length: 9 - 10 mm / 0.37 in. Cross section: 28 - 12 AWG (stranded and solid). Weatherproof rated to IP44 - Splashproof. 5 pin (3 pole with neutral and earth, 3P N E) 3 phase. 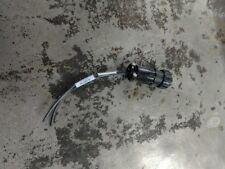 1 x 16 amp 5 pin trailing coupler - Fast fit . 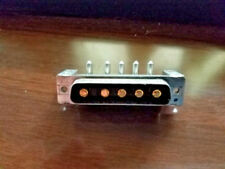 Will only accept matching 16 amp 5 pin red 380 - 415 volt plugs. 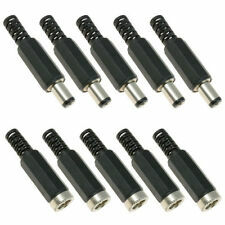 New ListingCinch 5 Way Connector Plug & Socket / N.O.S. STANDARD 415V. 3 PHASE SOCKET. NOTE THAT THIS IS 3 PHASE. AND 5 PIN TYPE. 380 - 415V (Volt). Industrial IP44 Connectors. Weatherproof Rated to IP44 - Splashproof. 1 x 32A Plug and Interlock Socket Set. 5 Pin (3P N E = 3 Pole Neutral and Earth) Earth Pin at 6h. Switch on the isolator will not turn or power on until the plug is fully inserted into the socket. 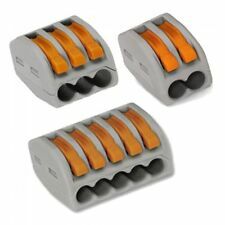 These sockets will only accept matching 16 amp 3P N E 380 - 415V plugs. IP44 Rated - Splashproof. 5 Pin (3P N E - 3 Pole, Neutral and Earth) - Earth Pin at 6H. 2 x 16 Amp Surface Mount Socket. 380 - 415 Volt - Red Colour Coding. Will only accept matching 16 amp 3P N E 380 - 415V plugs. IP44 Rated - Splashproof. 5 Pin (3P N E - 3 Pole, Neutral and Earth) - Earth Pin at 6H. 380 - 415 Volt - Red Colour Coding. 1 x Surface mount socket. 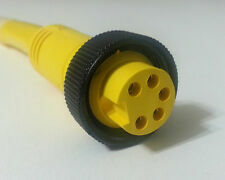 Connector TypeReceptacle. Mounting TypePanel Mount, Snap-In. Number of Rows1. Pitch0.250" (6.35mm). There are strain relief crimp points and a solder hole at the end of the clip. Smooth micro tipped jaws. Would buy from again! Useful for smaller wires that you don't want to deform. We are Proud With Our Service.